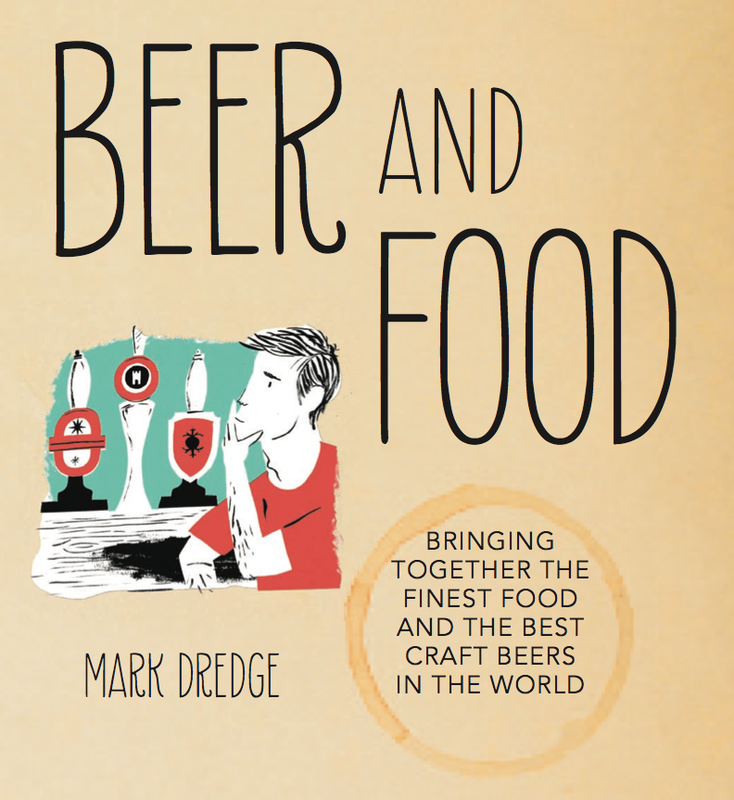 My goal was to make a book about the topic of putting beer and food together, but I didn’t want it to just be lists of things which taste good. I wanted to go deeper, I wanted to understand how things interact, how the sensations of taste work, the science and composition of different ingredients (like how Simcoe, Citra and many Aussie and Kiwi hops are especially high in the oil myrcene, which is also found in thyme, bay and mango, meaning there’s natural flavour crossovers), as well as giving some great pairings that anyone can try. I wanted to make it fun and approachable, not just some geek-fest of weird dishes and unobtainable beers – it’s realistic in what people eat and drink. 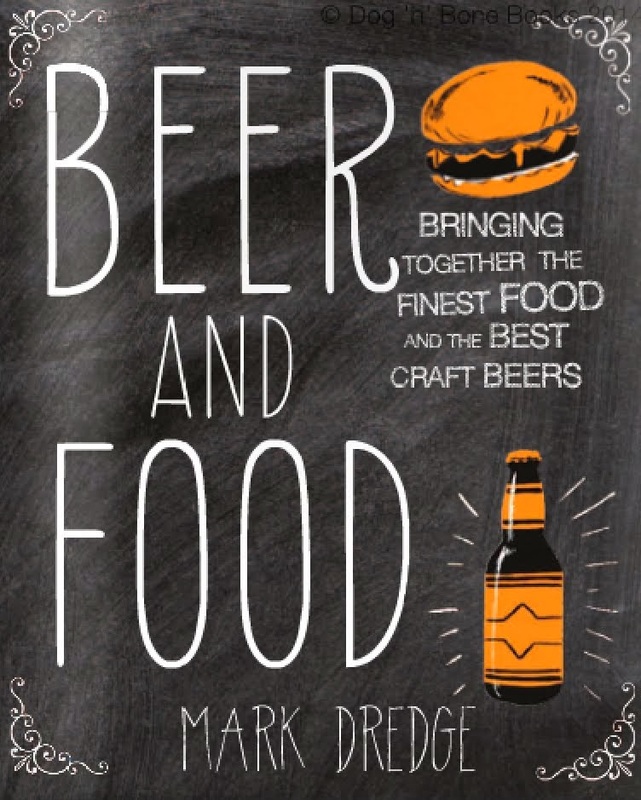 Plus in the book there’s a section about what to eat and drink with a hangover, what beers to have with fast food, what goes best with breakfast or the foods to choose with mainstream brews. 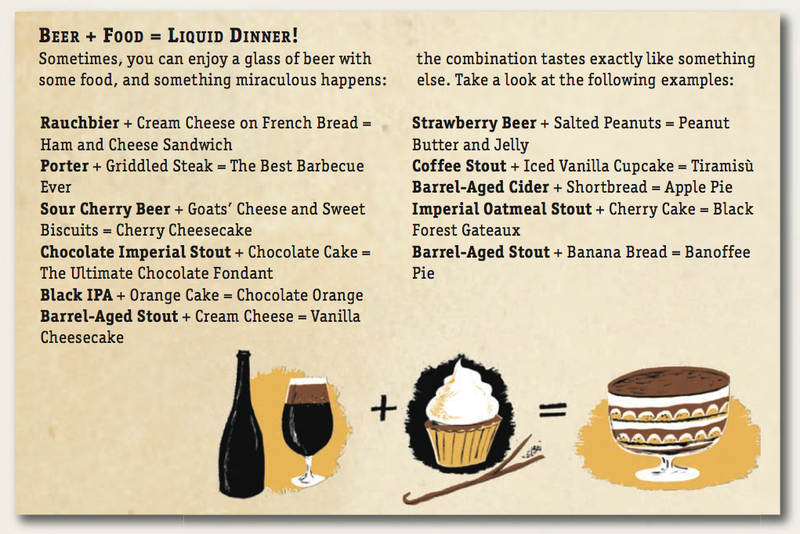 The idea is simply that is makes people think differently about how beer and food can be put together. The book is in four parts. The first introduces the idea of beer and food together, it gives some beer history and goes through the brewing process. The second part starts with the beer style and finds food to go with it, as well as suggesting some general and good matches to go with. Part three begins with the food and then gets a beer to go with it. 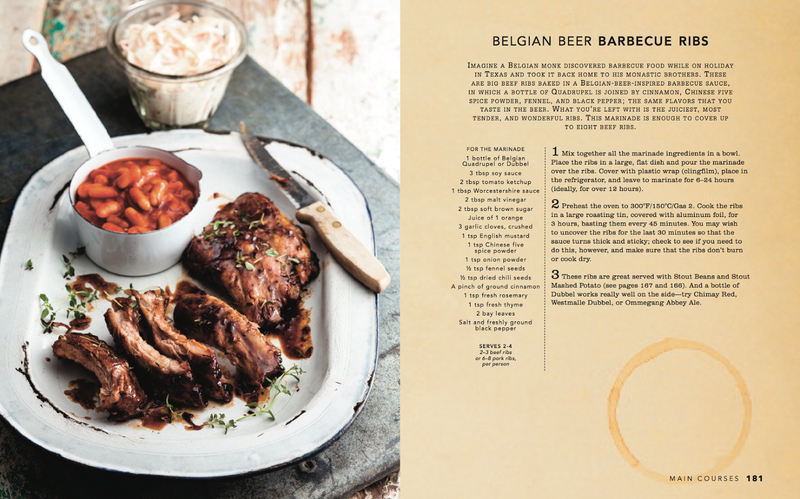 The final section includes around 50 recipes using beer as an ingredient. It was a fun book to write. I spent the whole of last summer either eating, drinking, writing, cooking or trying to run as far as possible to have some healthy balance. I lost count of the number of meals I had with at least three glasses of beer and I don’t know how many times I put cling film over the top of a bottle to save it for the next day or to use it in a recipe idea. I’m really pleased with the book and very proud of it. Hopefully it goes in different directions with beer and food than other books have before. It’s available on Amazon in the UK and US. It’s also in bookstores all over the place (it’s already been spotted in Australia). 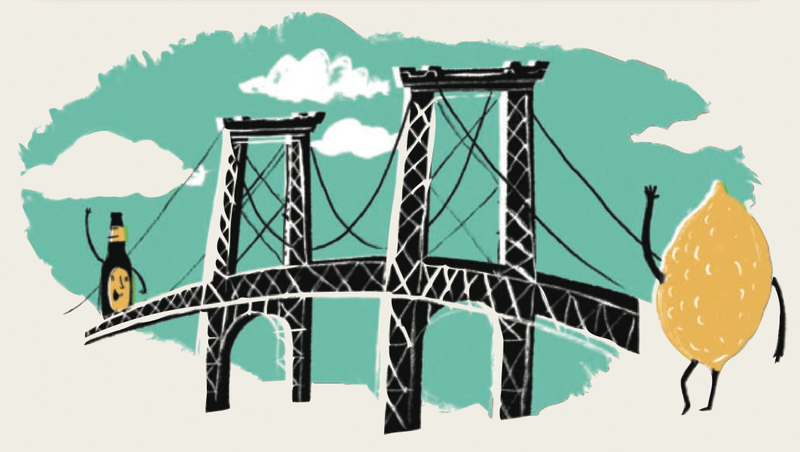 There’s a 10-page preview online here. 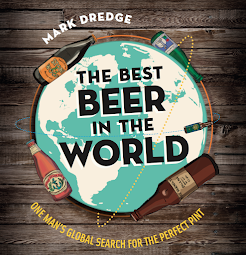 And don’t forget that my first book, Craft Beer World, is also still available (that’s still good and you should also own that one). There’s a Kindle version of that, too (Beer and Food might follow, but not for six months). If you get a copy then I’d love to know what you think! The illustrations for this book were done by Nicholas Frith. I love his work!